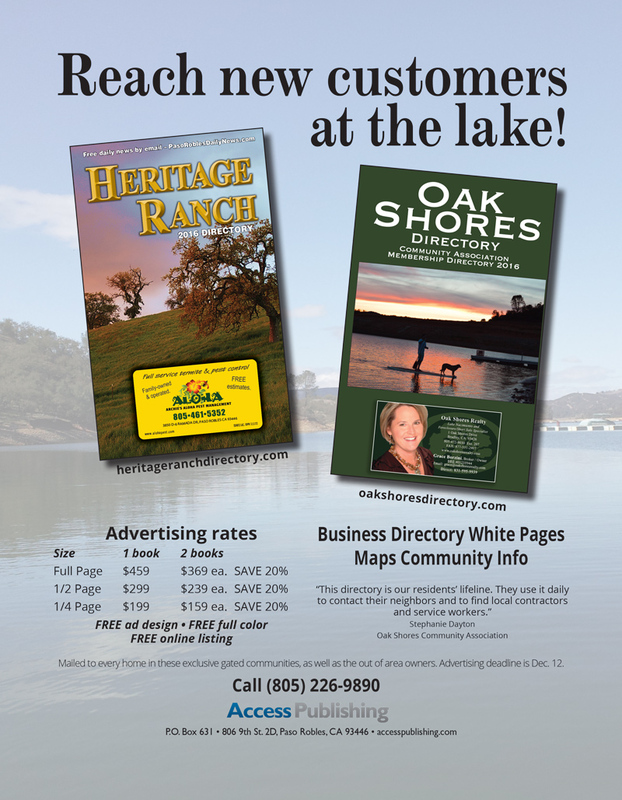 Advertising information for the Heritage Ranch Directory and Oak Shores Directory. Would you like to be among the exclusive service providers who cater to the private, gated-community at Oak Shores? If you offer products or services and travel or deliver to the Oak Shores Community, call Access Publishing for affordable rates. (805) 226-9890. 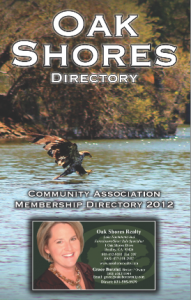 The annual books connect residents to businesses who offer services in this North San Luis Obispo County area. 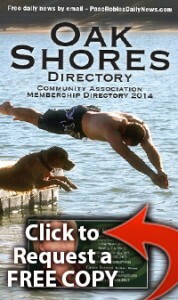 The directories provide a convenient list of those businesses willing to travel there, because these two resort communities are 30-to-60-minutes away from Paso Robles.